La Riviera Casino bonuses for a welcome gift can total up to €1000 and at least 100 free spins too. The coupon code to use is 10GRATUIT. They truly want you to feel welcome and ready to try your luck, which is why they boost your start-up money. You can also find no deposit codes and promos where you can get free money to try the site out before you make a deposit. After the welcome bonus has been collected, you can watch the site, and any newsletter or emails they send, to find more coupons, vouchers, no deposit codes, and much more. They also offer a VIP program for those of you who really like to play here and spend a considerable amount of time and money playing these great games. This program can yield some great rewards, so don't hesitate to ask about it. There are download and instant play options, but not mobile apps for iPhone, iPad, or Android devices. Mobile play would be a great addition to this casino, and maybe they will develop some apps to offer in the future. Casino Titan is a comparable casino for La Riviera, in both software, game options, and bonuses. Real Time Gaming produces great games which both sites use, and the bonuses are very similar, though some might say that Casino Titan offers just a few more. Whether or not Casino Titan offers more bonuses, La Riviera Casino has many players that continually come back for more. This casino does allow USA players, and is most popular in Europe. The three countries where it is most popular are France, Belgium, and Martinique. The languages in which this site and support are offered are English, French, and Italian. La Riviera Casino bonuses are good for over 200 games, including options like slots, table games, video poker, and specialty games too. Some of the most popular games include Pay Dirt, Aztec's Millions, Jackpot Piñatas, and Pontoon. There are so many games to choose from that you can have a new favorite every week, and you probably will if you like to try new games. 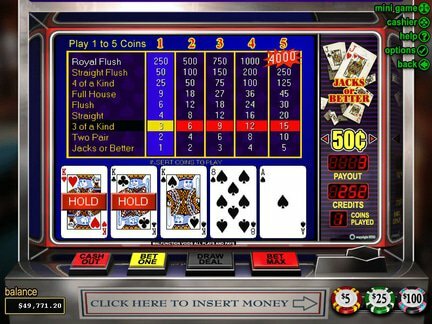 Some of the many games offered here are progressive jackpots, and many people enjoy playing them for the chance to win big all in one go. A few jackpot total include Dino's Rhino at $129,674; Strike Gold at $37,400; and Slots of Fortune at $73,860. There is plenty to find here for the avid gamer. Winners are numerous and have won ranges from hundreds to thousands. All you have to do is play and see if you can find yourself among the lucky winners. Customer complaints do sometimes happen, but this casino is quick to answer and resolve them if you take the time to mention them. There have been previous complaints about non-payment and difficulty withdrawing money, but these have all been successfully resolved and customers were completely satisfied with the results. This Real Time Gaming casino was established in 2010 and is licensed in Curacao. It has always been a download or instant play casino, and does allow USA players. They do have a long list of restricted countries. The currency allowed here is US Dollars. Curacao is famous for strict gaming standards and rules, so you can be sure that any casino licensed through this country will protect your personal and financial information. I had a great time playing with La Riviera Casino bonuses, and there were tons of games to choose from. The sign up bonus was very fast and simple, and I tried both the instant play and download options with great success. They were easy to navigate, and I also got plenty of free spins and promos to use. I would very much have liked to see mobile play, for iPhones, iPads, and Android devices, and will be looking for it here in the future. Not only will I be recommending this site to fellow online gaming enthusiasts, I will be coming back to play again. I look forward to finding more coupons, vouchers, promos, and bonus codes. I rate this casino at a 4, and can't wait to come back again. It is a fantastic option for simple online gaming that is full of options to keep a player entertained.